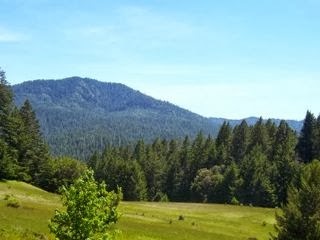 THPBlog: Humboldt Redwood Company planning THP near Redcrest, CA. Humboldt Redwood Company planning THP near Redcrest, CA. This THP is about 2-3 miles east of Redcrest, CA and Highway 101 at an elevation of 400 to 1.600 feet. Humboldt Redwood Company is planning a tractor and cable logging operation on steep and unstable soils in redwood, Douglas fir and grand fir forests. The THP area drains into the Eel River which is an important steelhead and coho fishery, and is listed as impaired for sediment/siltation and temperature. There are 7 landslide terrain sites including debris slides and inner gorge features that are currently stable, but are connected to streams, and historic logging disturbances. Nine road drainage sites are proposed for work, and heavy equipment is planned for use in a watercourse to construct skid trails. Willow flycatcher habitat was reported to be near Larabee Creek Bridge. More information is available on the THP Tracking Center website.